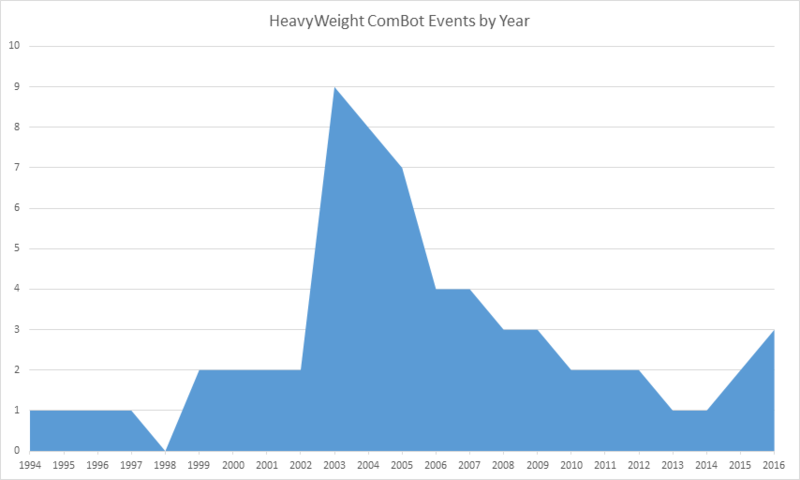 Below are links to pages for Robot Combat events by year. For past years, resources are provided for archives of the events including results and videos (where applicable). If we have missed any heavyweight events, please let us know on Facebook or Twitter!